In the glamorous world of Bollywood, there is hardly anything that's real. It is a world that functions around beauty, glamour; where actors have to paint a completely different picture of themselves on camera. 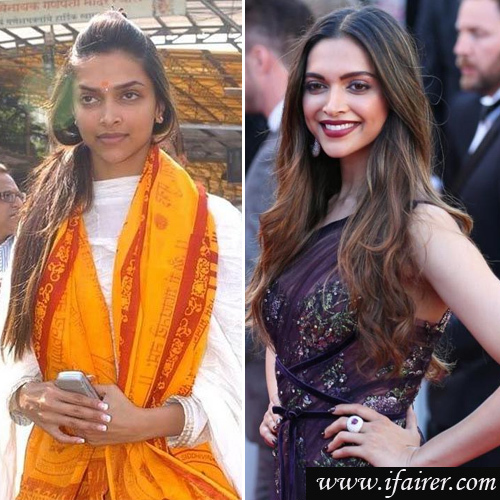 Have you wondered how our usually gorgeous Bollywood actresses look with little or no make. Here's a look at some celebrities who look unrecognizable without Makeup. Flavour of the current season, Deepika is riding high on the success. Check out Deepika without a dot of makeup in this pic here.